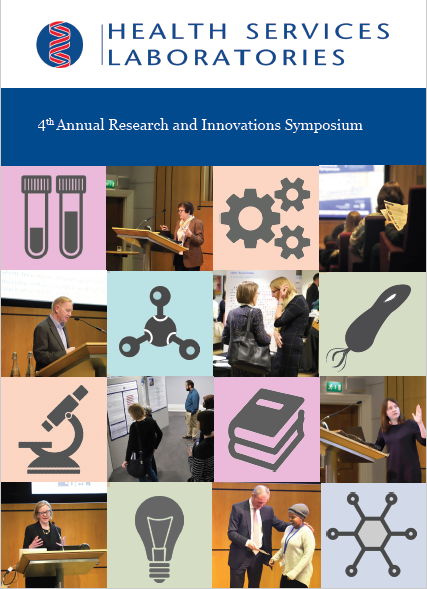 Last month HSL held its 4th Annual Research and Innovation Symposium at the Wellcome Collection in London. Expert speakers from across HSL and its partner institutions gave a diverse array of talks highlighting some of the key developments in molecular diagnostics, data science and digital pathology over the past year. From next generation metagenomic sequencing to highly effective adoptive cell therapies, the symposium showcased some extraordinary innovation that is already beginning to have an impact in clinical practice. This includes the development of pioneering IT and data analytic solutions which are improving workflow, aiding diagnosis and transforming opportunities for collaboration across the pathology sector. In partnership with the NIHR UCLH Biomedical Research Centre, HSL is proud to support over 500 translational research projects. This year’s poster competition was also its largest to date – a testament to the innovation and excellence of HSL’s scientists, clinicians and laboratory support staff.